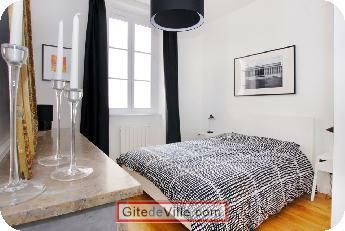 Vacation Rentals - Holiday Rental ads in the city of Lyon in France for Tourism. 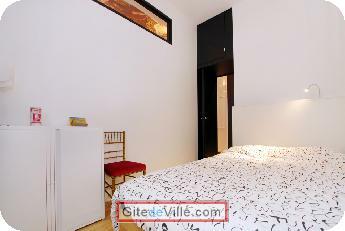 Self Catering Vacation Rental of 50 m² in Lyon for 4 peoples. Self Catering Vacation Rental in all the year rental. Translation of this part in english is coming soon. Chauffage, électricité, connexion Internet, draps et linge de maison, ménage en fin de séjour. A 50 sq.m. apartment with 2 bedrooms. Open plan furnished and equipped kitchen. Bedroom 1: double bed (140*190), wall wardrobe. Bedroom 2 : double bed (140*190), cupboard. 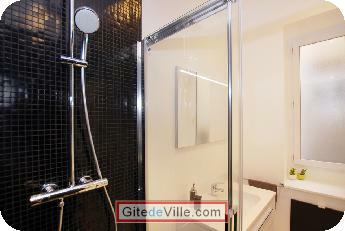 Bathroom: washbasin, shower, toilet, storage units. Equipment: washing machine, LED TV 39 inches, Internet connection (broadband and WiFi). On the 2nd floor with lift. The information and images contained in this announcement are the sole responsibility of its editor. Only a lease guarantees the information relating to tourism accommodation. Your IP adress is 18.234.236.14, it will be archive 12 months with this request. The fench law "Informatique et Liberté" from 06/01/1978 allows you to acces, modify and delete the yours datas. Please contact us by the contact form for any request. Last Ads update : 06/08/2018. Now 2284 ads on line in 173 cities of France. 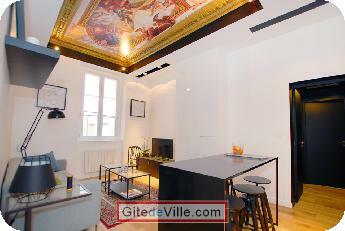 Owner of an urban accomodation or B&B to rent in Lyon ? Make the promotion about your location: free record sur GitedeVille.com ! 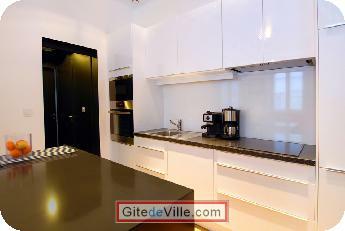 Your are on GitedeVille.com Tourism Web site, about Self Catering Hiloday Rental in French Cities.